A new short film, “Cultural Inheritance: Stories of Grandchildren of Soviet Jewish Immigrants” was screened during a theatrical event, “The Apple Does Not Fall: Journeys of a Russian-Jewish Family” in August at Piven Theater, 927 Noyes Street, Evanston. The event also featured two plays, written by a Russian-Jewish emigre, Bena Shklyanoy and Kevin Olson of FirstHand Theatrical. The plays, “And Then What?” and “How Many Bushels Am I Worth?” had a ten-day run from August 16 to the 26th. These stories are eyewitness accounts of an ordinary Russian-Jewish family and their life experiences from the pre-Bolshevik and Soviet eras to the 1970’s immigration to the US. 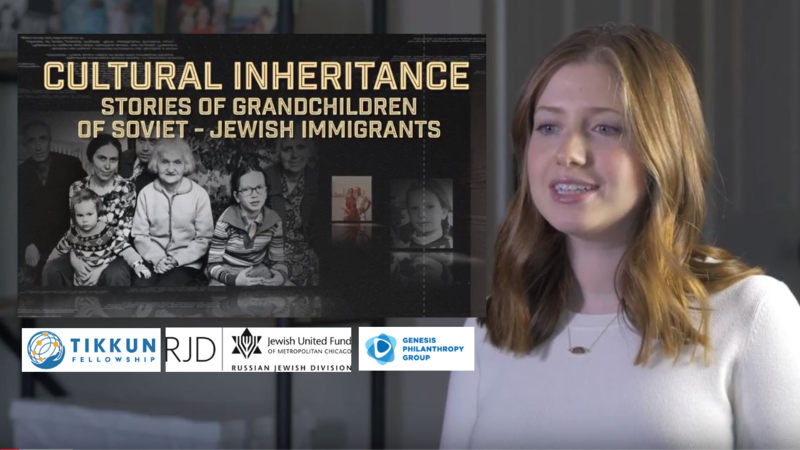 The film, Cultural Inheritance was created by Shklyanoy’s granddaughter, Abigail Matz. In the movie Abbie, her friend Becky and their grandmas talk about keeping the traditions from “the old country” and how that heritage manifests in their lives today. The generations easily slip between Russian and English as they talk of food, family and sacrifice. 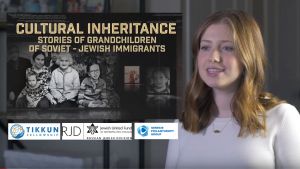 “I hope that my project can inspire other Jews to take a deeper look into their family history in order to truly understand where they came from,” said Abbie. Abbie Matz was born and raised in Highland Park, IL. She is a first-generation American citizen; her parents immigrated to the United States from the Ukraine (it was the Soviet Union at that time). They are both software engineers and it was natural for her to pursue a similar path. She graduated from Indiana University, Bloomington in December 2016 with a Bachelor of Science in Informatics as well as 3 minors: Entrepreneurship, Marketing, and General Business. This film is a JUF Russian Jewish Division’s Tikkun Fellowship project by Abigail Matz, funded by Genesis Philanthropy Group, a private foundation committed to supporting and launching projects, programming, and institutions that are focused on ensuring that Jewish culture, heritage, and values are preserved in Russian-speaking Jewish communities across the globe.